Here is what some of you might be thinking as you read the title of this post. And let me stop you right here. You did not MAKE your child picky. Feeding strategies are just one piece of the puzzle because the vast majority of eating problems are a combination of nature and nurture. Some of the other factors that may affect children eating are their unique genetic makeup, personal preferences, and challenges like sensory, oral motor and GI issues. And let’s not forget about certain developmental stages like toddlerhood when neophobia (fear of new foods) kicks in. But while we may not MAKE our kids picky by how we feed them, our feeding strategies can either improve eating or make it worse. I am sure you can change your feeding strategy and see amazing results. My hope is that if you see yourself in the scenarios below you will use the suggestions I offer to turn things around. And before you accuse me of finger-wagging, I must quickly admit that I got feeding completely wrong when my first was born, and I made every one of these mistakes myself! Mistake number 1. Always in the limelight! Picture this: a little child is sitting at the head of the table while his mom, dad and sometimes grandparents are hovering around, making sure he EATS. No one seems to be enjoying their meal, including the child. Too much worry, too much attention, too much pressure. Try instead: Treat your child like another member of the family who is sharing a meal with everyone else. It is hard to be in the limelight all the time, especially if you just want to learn from watching others eat or get to know a new food on your own terms. So sit down and eat together as a family, even if it is just the two of you. Chat. Eat and nourish yourself; you deserve to enjoy your meal too. Mistake number 2. Just two more bites of broccoli please. Of course, I believe in the benefits of adequate nutrition and consider vegetables an important part of a balanced diet. But still, a healthy relationship with food and ability to self-regulate come first. It is like a foundation that makes building healthy eating habits for life much more manageable. Try instead: Serve a variety of foods including one or two safe options for your child and allow him to choose what and how much he wants to eat. If you have a significant nutritional concern, talk to a professional like a doctor or dietitian to brainstorm ideas to boost your child’s nutrition. Hint: your child can get similar nutrients from other food groups while he is learning to like his veggies. Mistake number 3. What would you like for dinner? This one is a classic and one of the hardest habits to break. It seems so natural to give kids a choice, right? Like when we ask them what color socks they want to wear. Except little kids often do not know what they want before the meal and even after the meal has started. So expect them to reject whatever they requested and pose a new demand instead. Frustrating, I know. Try instead: Take charge of planning meals and snacks. Grown-ups have access to the budget, cooking skills and nutritional knowledge to create a balanced menu. They are also capable of being considerate to include something that their child likes. And that’s all that is needed. Mistake number 4. Keeping it too clean. We are blessed to have access to easy tools to prevent food messes. Sippy cups, puree pouches, and jarred baby food are all designed with our busy lifestyles in mind. But these useful inventions may not always be the best choice for our babies who need to get messy when eating. Little kids have to touch, smell and experience different textures to help their sensory development and learn about food. Try this instead: Introduce an open cup at around 6 months and minimize the use of sippy cups. Try serving baby food from a bowl, with a spoon instead of jars and pouches. Give a spoon to your little one to, to practice self-feeding or allow her to explore it with her fingers. Encourage food play and serve finger foods at every meal from early on. 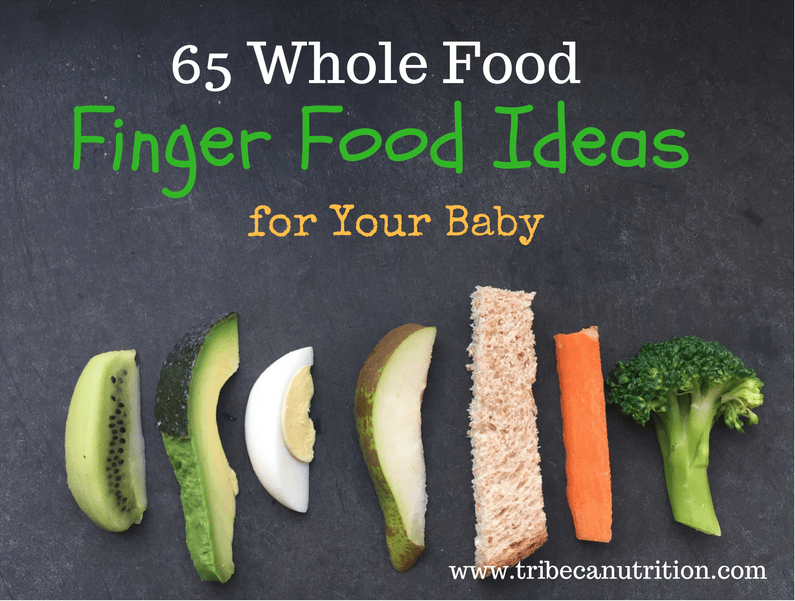 Get a full guide on baby and toddler feeding milestones here. Mistake number 5. Chasing around with a spoon. Of course, we do not choose to follow our kids about trying to sneak in more food because we think it is a fun way to spend our afternoons. In many cases, we are driven by a nutritional concern of some kind. But let’s not forget that eating while walking or playing is one of the preventable risks for choking. Besides, mindlessly munching when distracted disconnects kids from their body’s satiety signals. 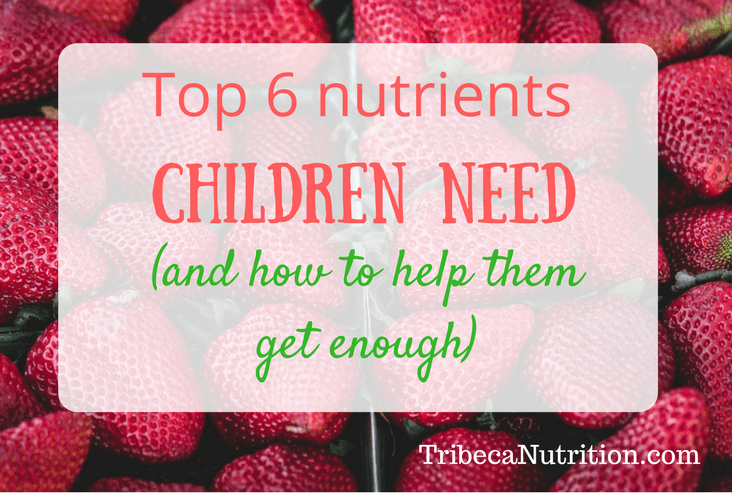 Try instead: Talk to your doctor or dietitian if you have a concern about your child’s growth or nutrition. Get help and, if necessary, appropriate supplements. After that, set a meal and snack structure and serve food at a table at set times of the day. So what do you think? Sounds doable? 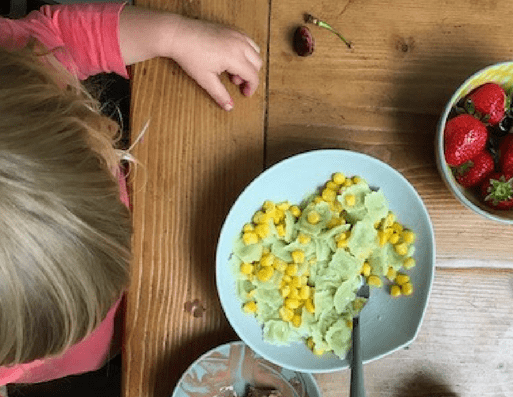 I hope these tips will help you jump start some changes at mealtimes. I clearly remember myself making all these mistakes with my first child ten years ago. Funny how confident I felt that I was doing all the right things! Fast forward a little over a decade, a nutritional degree behind the belt, years researching child feeding, practicing with my kids and helping other parents, it is now easy for me to see the big picture. But if you are in the midst of it all, an overwhelmed and worried parent who just wants to do your best, it is often impossible to get a “bird’s view” and create an overarching approach, a system that not only fixes all feeding mistakes but also prevents them. But you can get access to the system I created to help kids eat better and build a healthy relationship with food. It is available to all parents who join Turn Picky Eating Around – an online video-based class with support via our private group. Learn more and register here, I cannot wait to see you inside!